Did you know dogs’ noses are wet to help them smell better? The moist surface is like a glue to help capture scents! Even though their sense of smell is good, they don’t always smell good themselves! 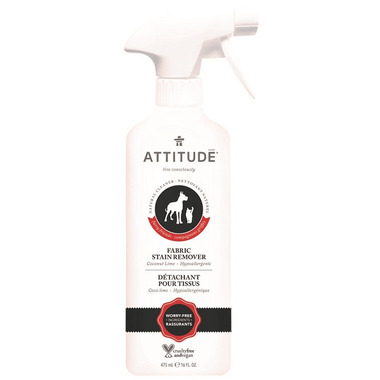 Mist ATTITUDE’s Natural Stain & Odor Remover on pet bedding, cushions, favourite nooks and soft toys to remove stains and odors. Lightly scented with coconut lime, and made with plant- and mineral-based ingredients, there’s no worry of them ingesting harmful chemicals.